The Golden Geese have been causing a stir surrounding The Art of Conversation. 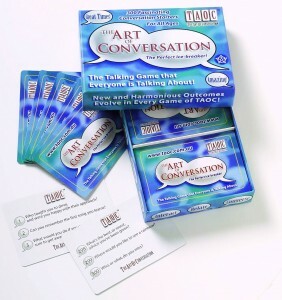 This talkative card game hit the UK last week and journalists across the country are lining up for a good old fashioned chin wag. From Toy News to the production team at the TV Book Club these little treasures are set to inspire great family conversations and tear teens away from texting. We quizzed some media fans on their colloquial skills….